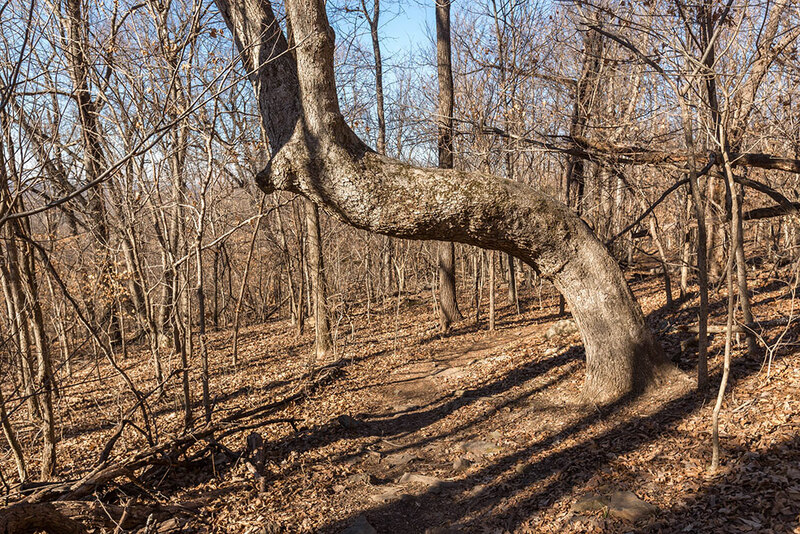 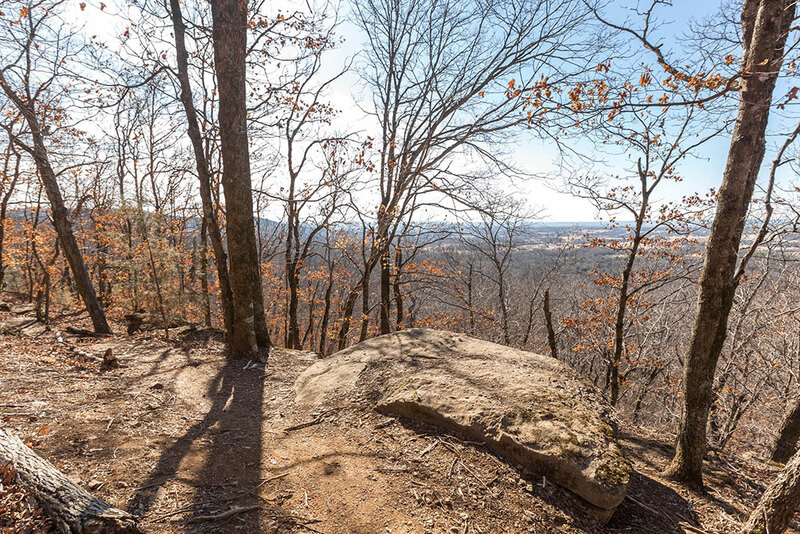 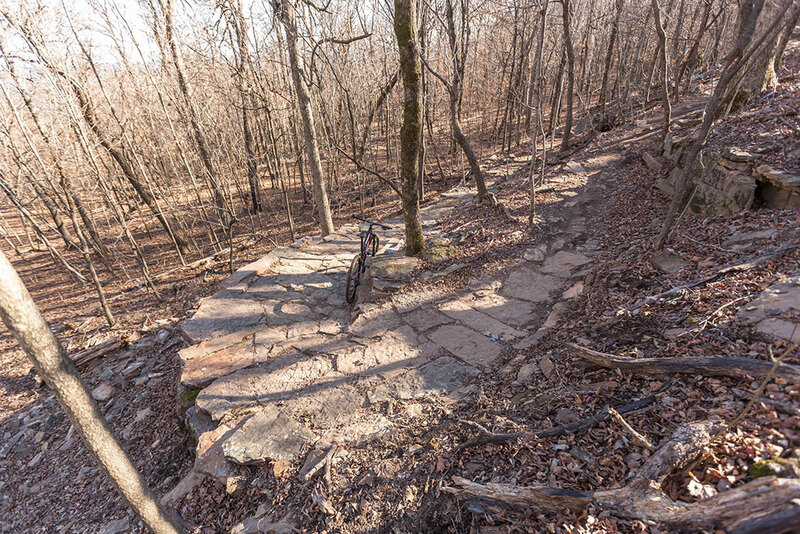 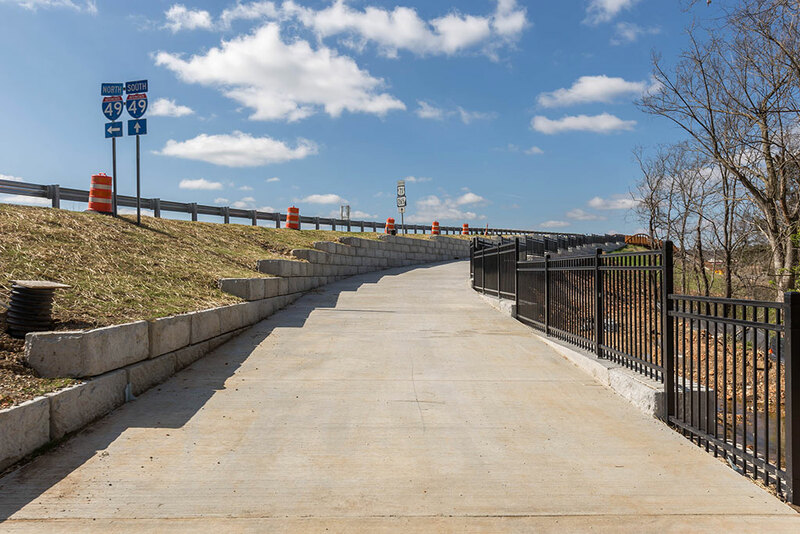 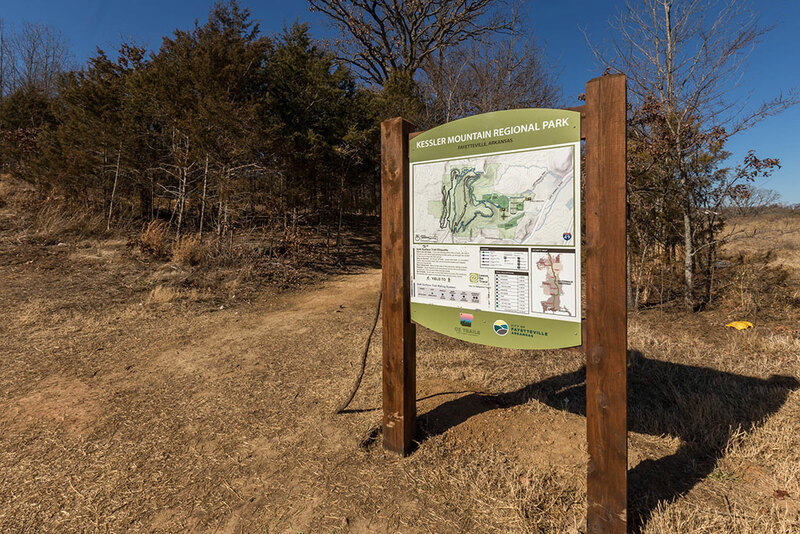 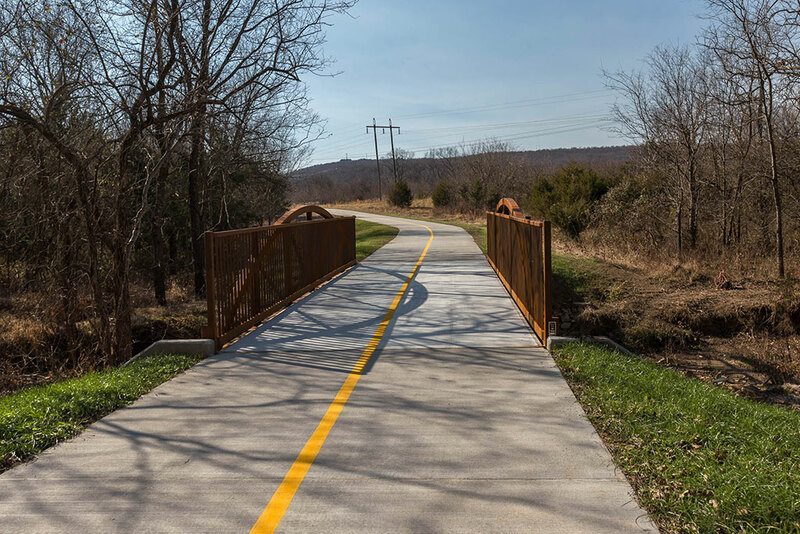 City officials will celebrate the completion of the Cato Springs and Kessler Mountain trails during a ribbon-cutting ceremony at 12 p.m. Saturday, April 21. 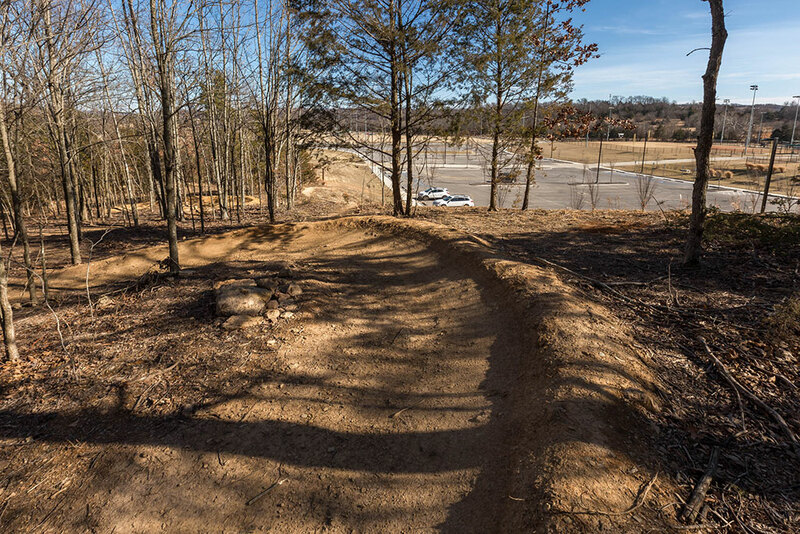 The ceremony will conclude with a series of guided mountain bike rides for riders of all ages and abilities beginning at 1 p.m. 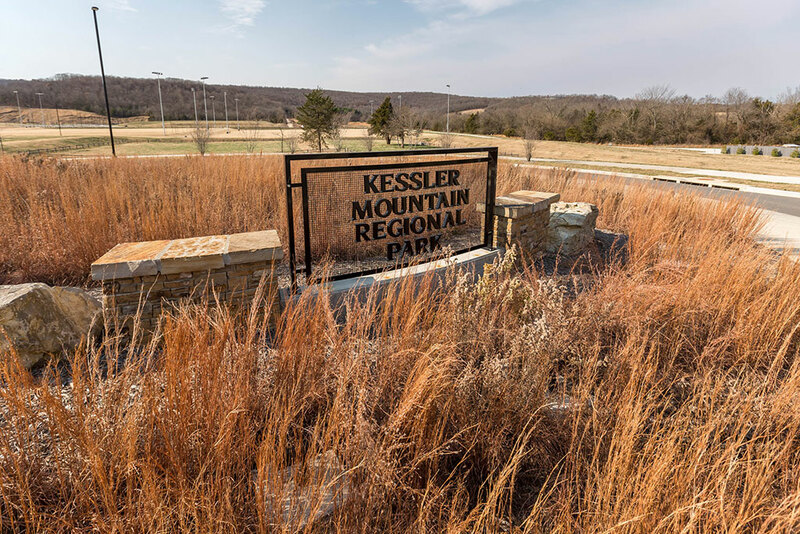 The event will take place at the trail roundabout at Kessler Mountain Regional Park, and is part of four family-friendly Earth Day events scheduled in town this weekend. 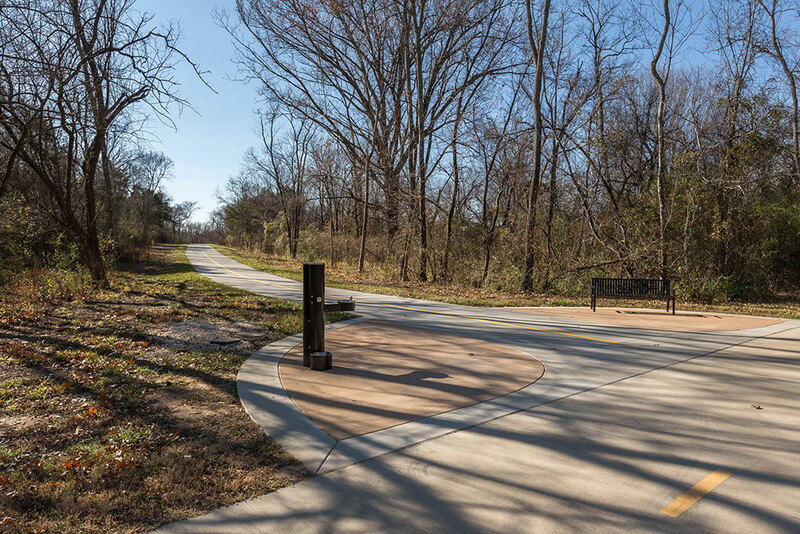 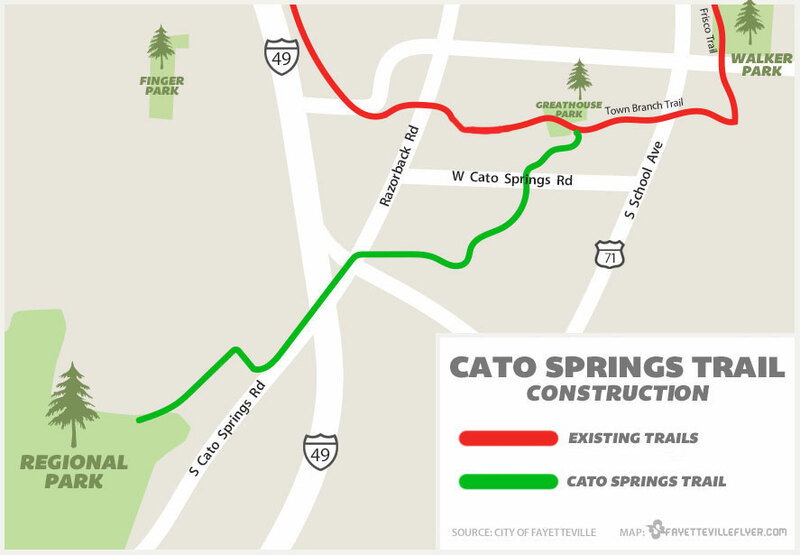 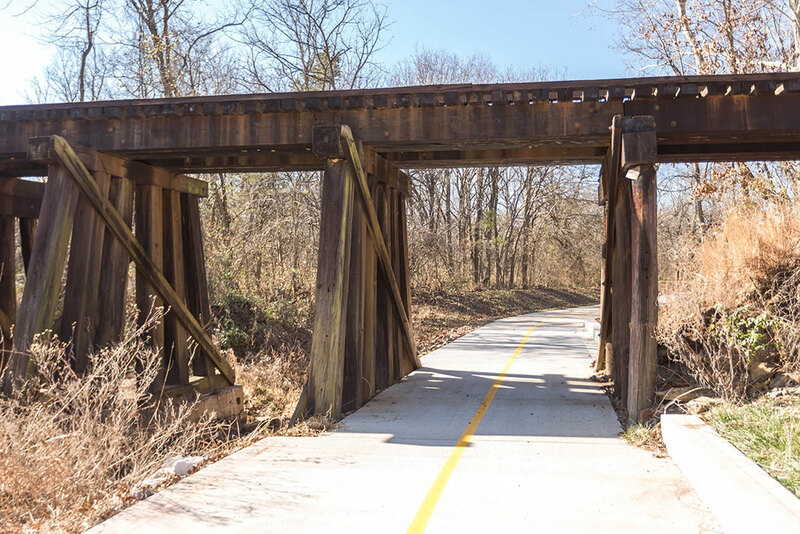 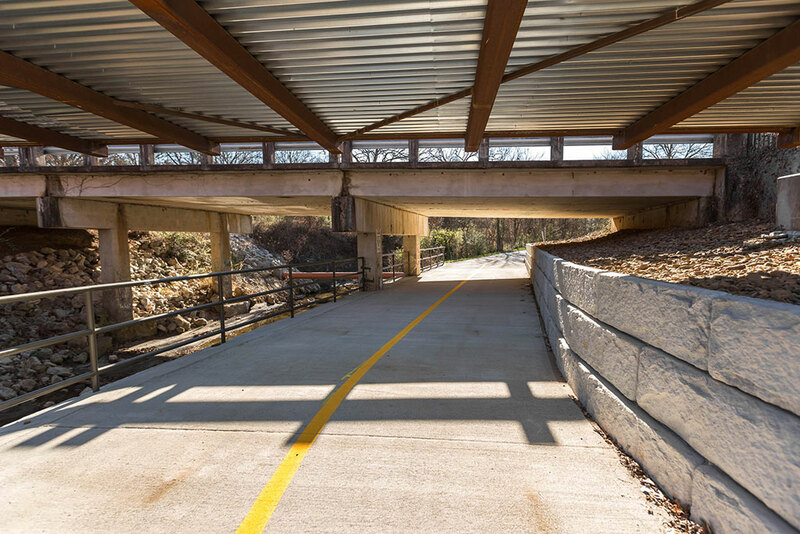 The Cato Springs Trail is a 3-mile-long, 12-foot-wide concrete trail that travels along portions of the Cato Springs Branch stream and provides a connection between the regional park and the Razorback Regional Greenway. 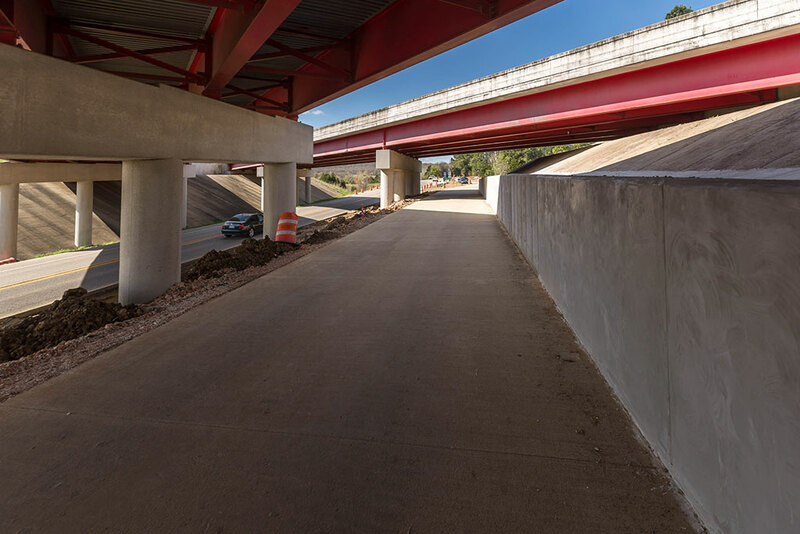 Significant structural accomplishments include a 100-foot-long tunnel under Razorback Road and a 236-foot-long bridge over the Fulbright Expressway. 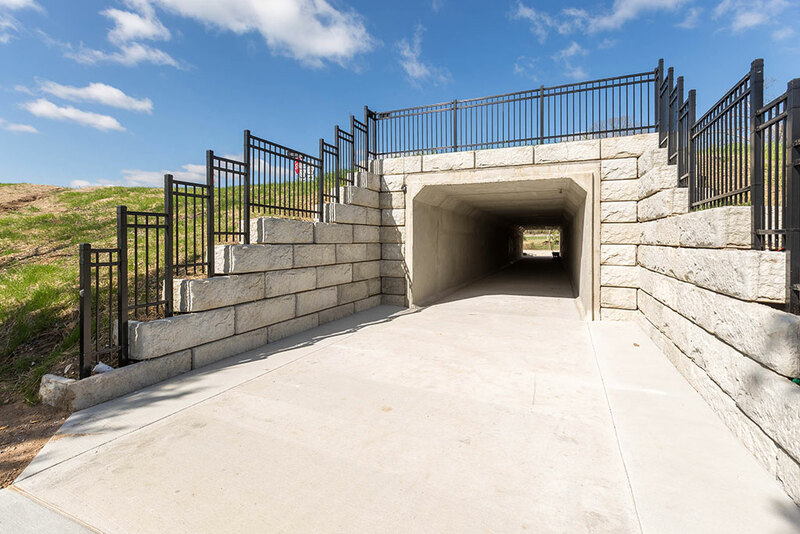 The city’s in-house trail construction crew built 2.5 miles of the trail and Boulder Construction was contracted to build the remaining 0.5 miles of the trail, including the tunnel and expressway bridge. 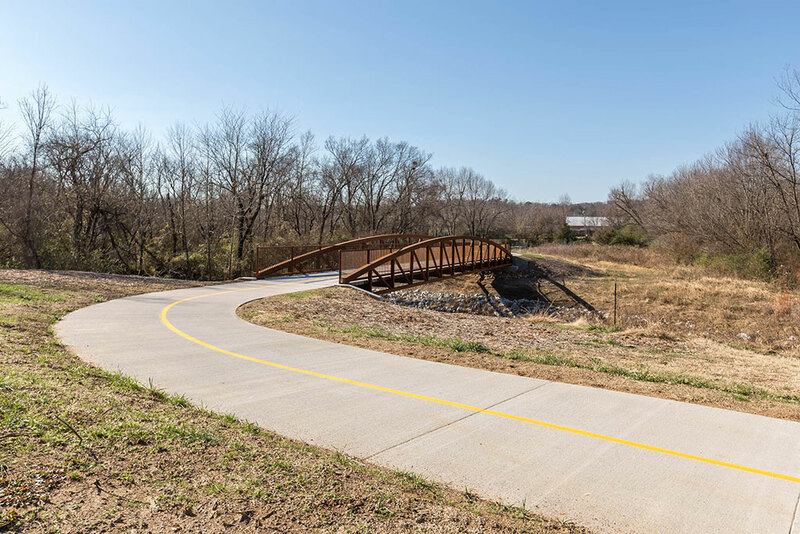 Funding comes from a $2 million matching grant from the Walton Family Foundation. 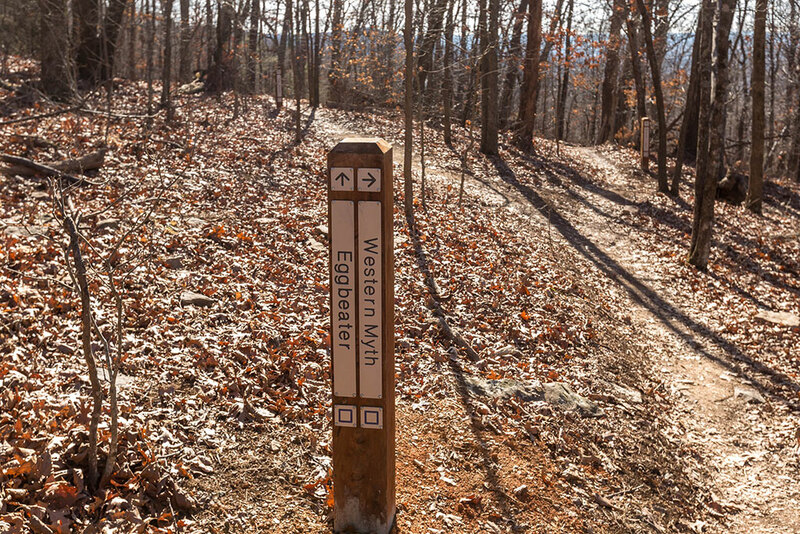 Lighting for the new trail is scheduled to be installed this fall. 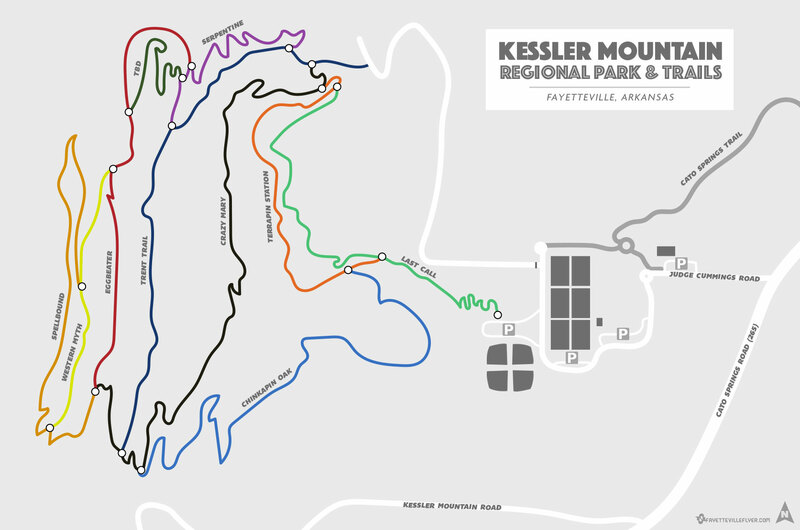 The Kessler Mountain soft surface trail improvements were also recently completed. 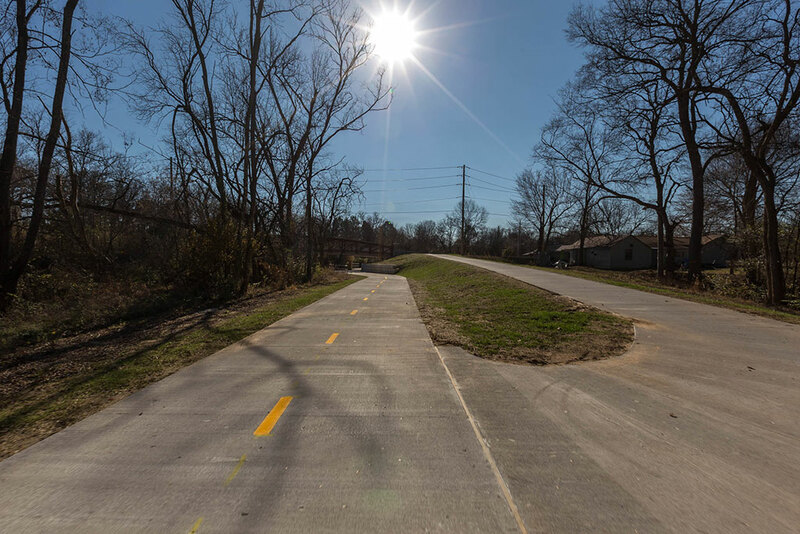 The $341,000 project was also made possible by a matching grant from the Walton foundation. 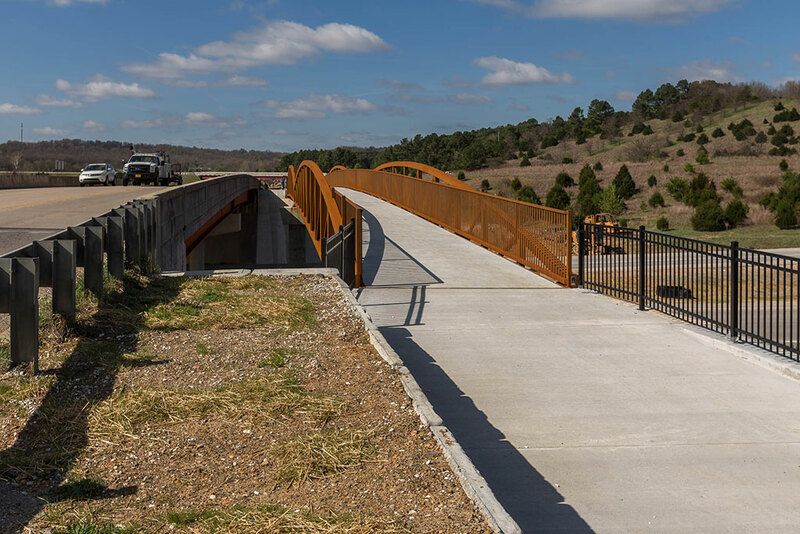 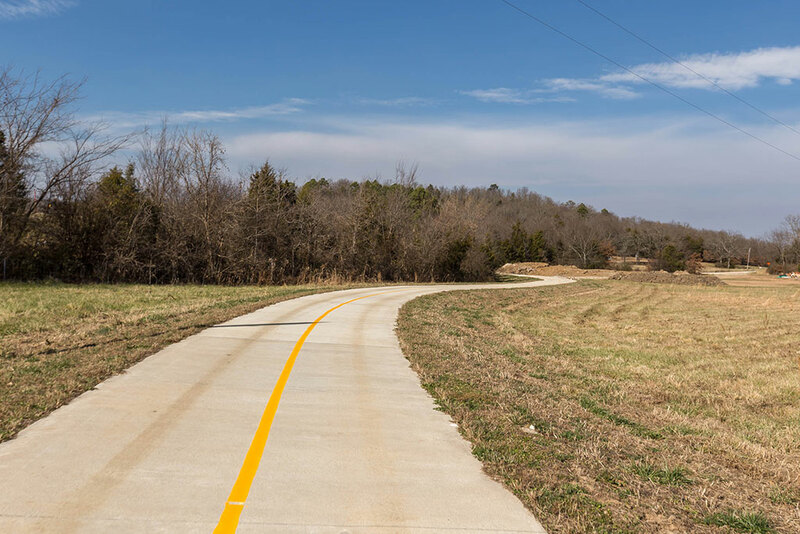 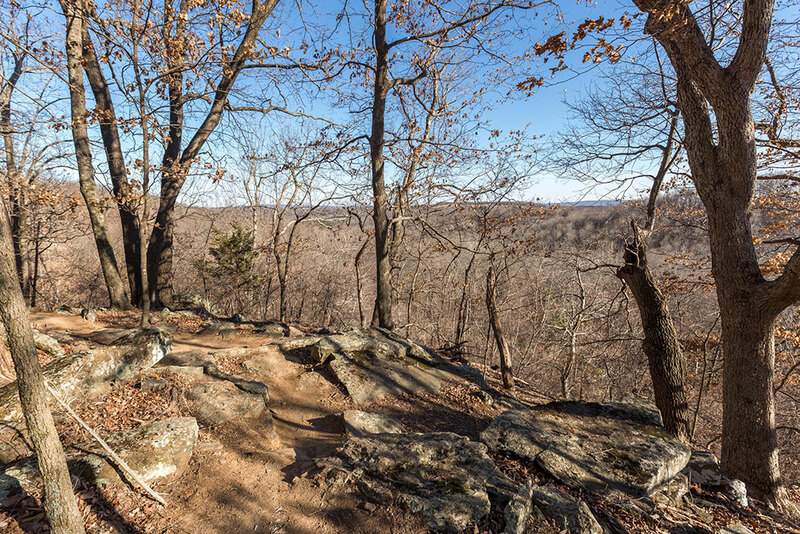 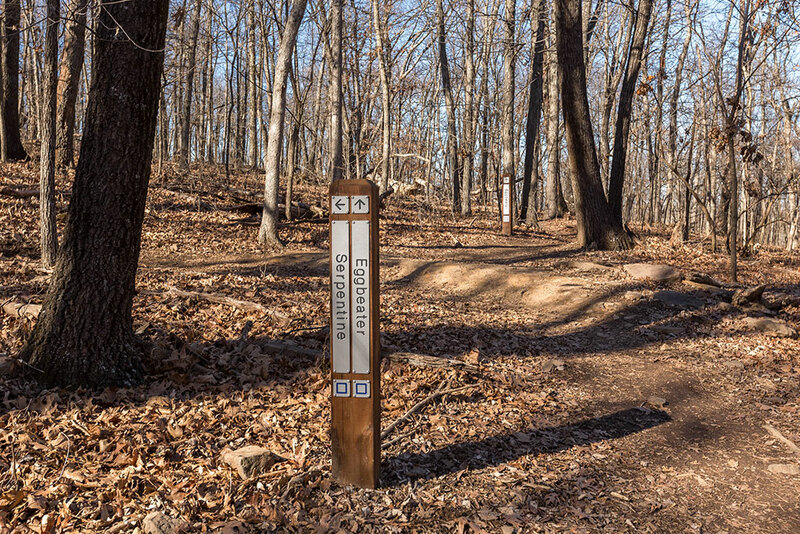 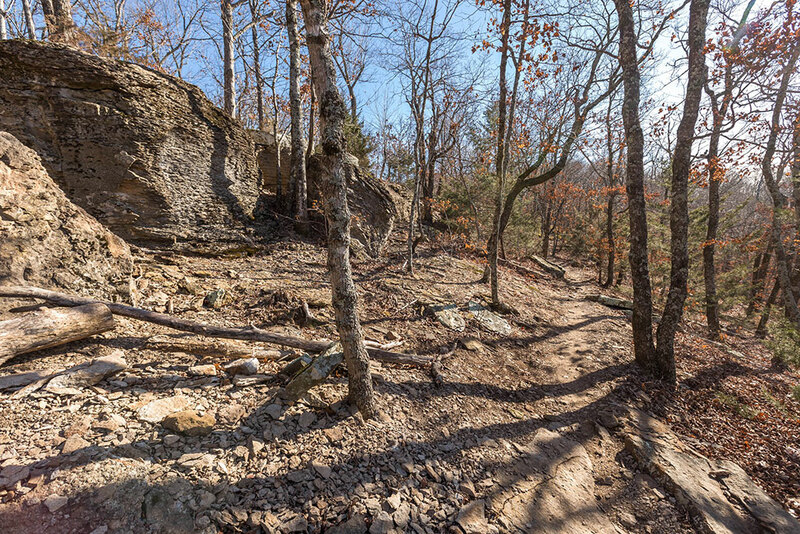 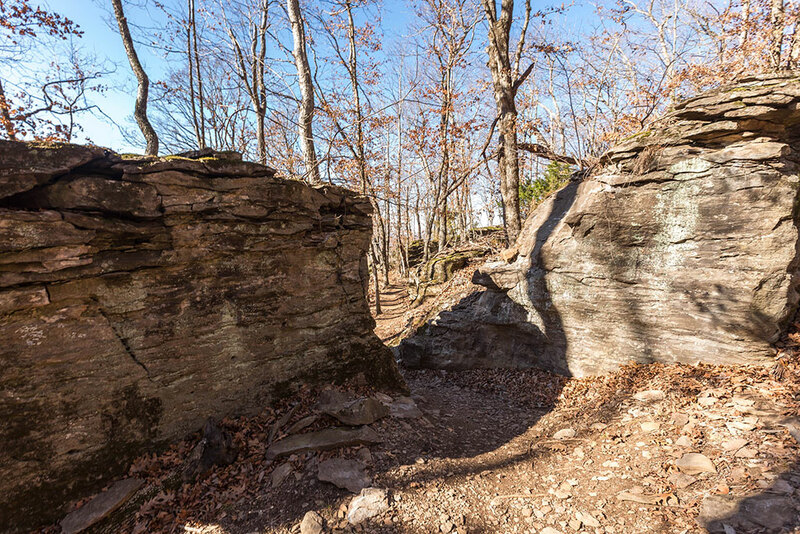 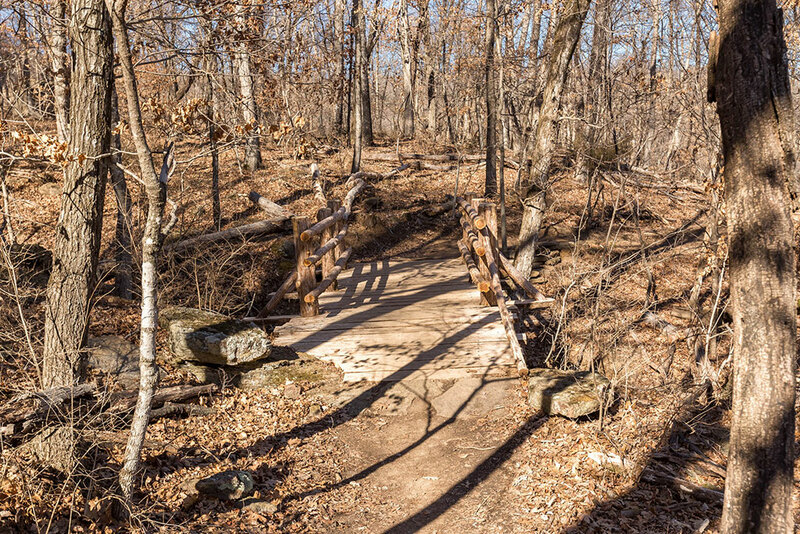 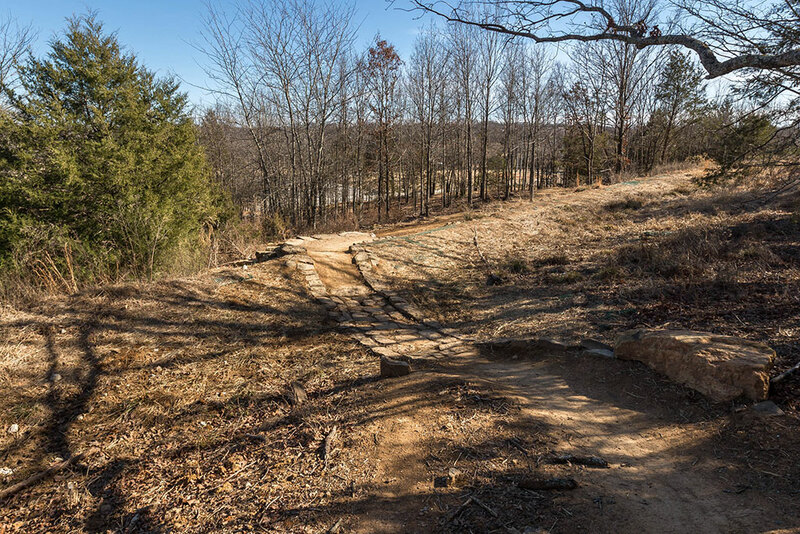 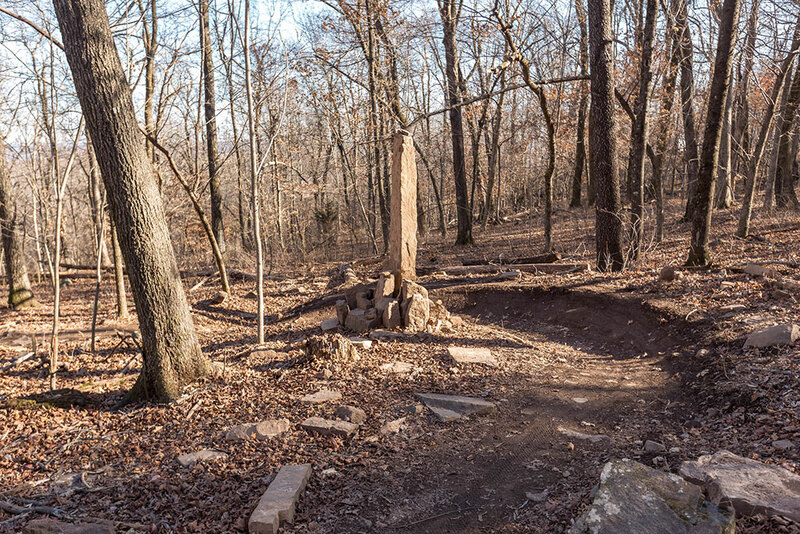 The construction contract was awarded to Progressive Trail Design of Fayetteville, who teamed with Rogue Trails of Rogers and the Ozark Off-Road Cyclists volunteer advocacy group. 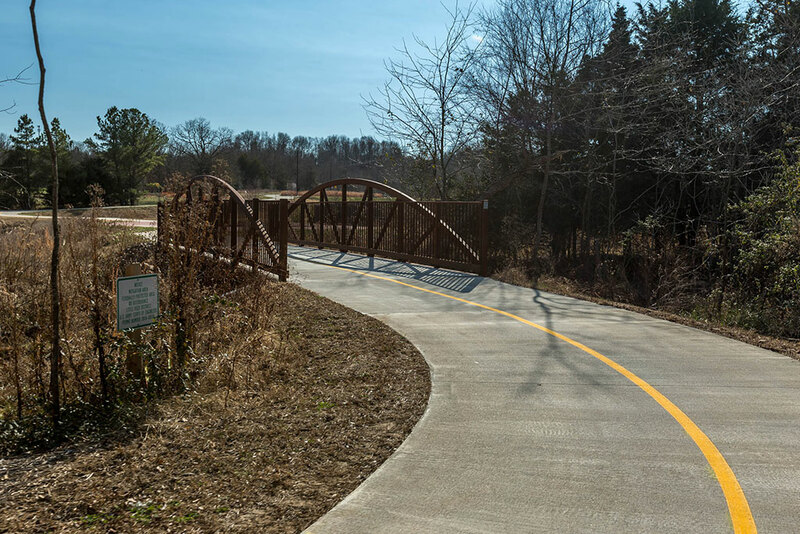 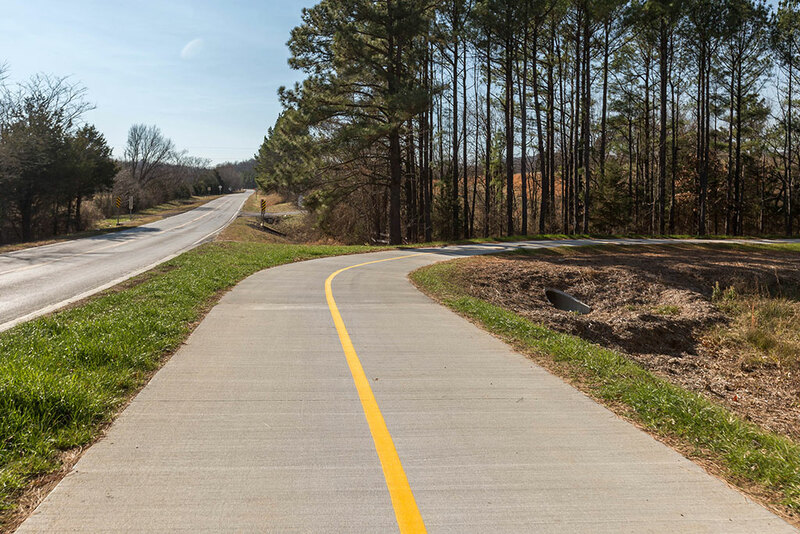 Improvements include construction of three new trails: the 1.6-mile Chinkapin Oak Trail; the 1.2-mile Last Call Trail; and the 0.9-mile Terrapin Station Trail. 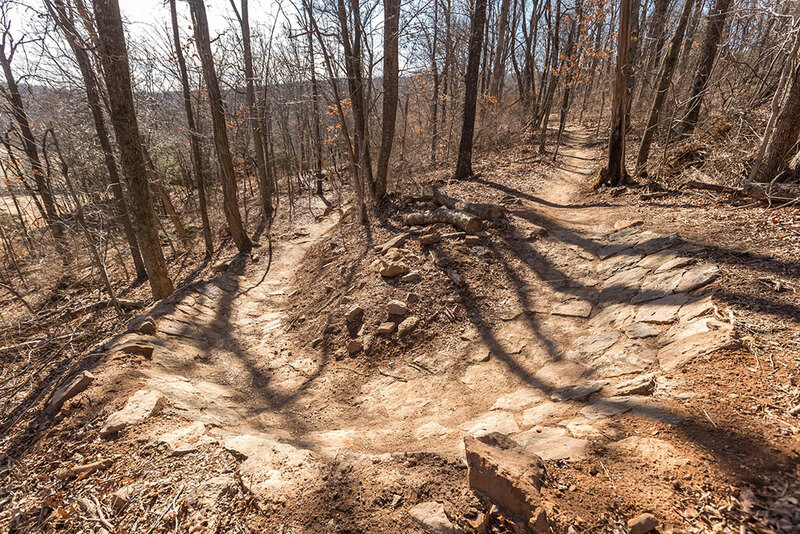 Significant improvements to the existing Trent, Serpentine, Egg Beater, Western Myth, Spellbound, and Crazy Mary trails were also part of the work. 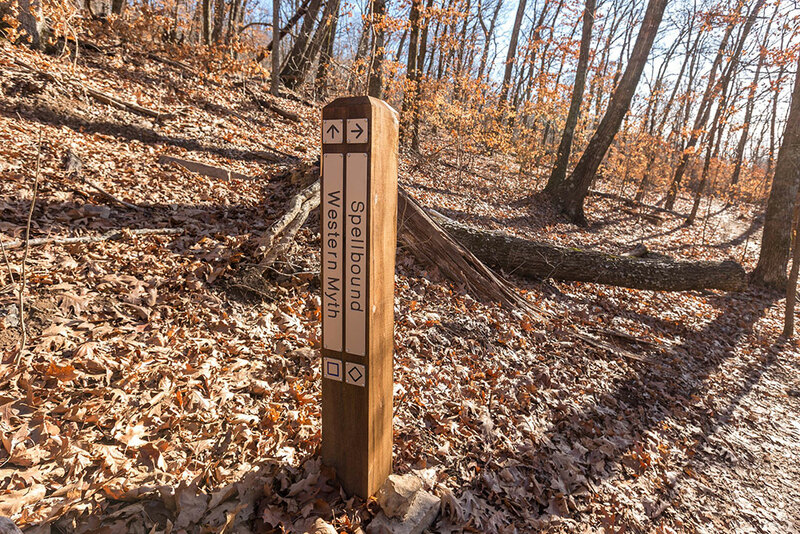 The groups also built and installed two new trailhead kiosks with trail information and maps.